Angie's Suburban Oasis and Northwest Cavegirls: Dr. Bronner's for your hair? In my ongoing quest to use more natural bath products I decided to try out Dr. Bronners Conditioning Rinse to replace my regular conditioner. 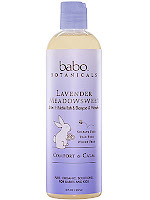 I'm already using and loving Babo Botanicals Lavender 3 in 1 for my shampoo, but I was still using the regular Costco brand of conditioner for my fairly long and very thick hair. I started out by reading the instructions on the Conditioning Rinse bottle, because this product definitely needs instructions. It looks a bit like thick molasses and smells like strong lemon juice. The instructions say to dilute one to 2 cap-fuls in a cup of water, stir, then pour over your already washed hair while combing with your fingers. The lemon smell almost overwhelmed me! But I guess since lemon is supposed to invigorate you, a strong lemon smell in your morning shower is a good thing. I rinsed the conditioner out of my hair and combed my fingers through it. Usually after conditioning my hair is very smooth, but this time it didn't feel quite that way. The bottle also suggests that for those with long hair they repeat the conditioning process. So I did. After the second rinse my hair felt much the same as after the first. I let my hair air dry that day then brushed it after it was dry. I found quite a few tangles and just didn't feel my hair was as smooth as it had normally been. But I don't like to give up on a product after the first use. So I tried the conditioning rinse again a few days later, but got the same result. Dr. Bronner's also has a couple of leave-in conditioners that may give me the smooth and silky feel that I'm looking for, and I'll probably give those a try. I definitely like the natural ingredients and lack of parabens and sulfates in Dr. Bronner's products and may try the soap for shampoo when I run out of Babo. 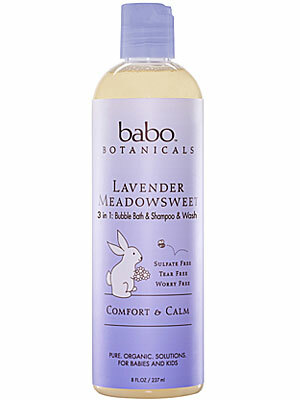 I have one of those great big bottles of the soap and plan to try it as hand soap, body wash and maybe laundry soap. If you have any experience with Dr. Bronner's I'd love to hear about it! So to sum it up, after using Dr. Bronner's Conditioning Rinse I could definitely get a comb through my hair and it smelled pretty good, but it was definitely not as smooth and silky as it is when I use a chemical-laden conditioner. I may be ok with that on most hair-washing days just to be able to use a more natural product, but on days when I want my hair to look and feel nice, I'll probably go back to my Costco conditioner bottle...until I find a natural conditioner that gives me better results. Have you found a great natural conditioner?